USA (American Standard of Perfection): Bronze, Black, White Holland, Beltsville Small White, Narragansett, Slate, Bourbon Red, Royal Palm. Most turkey breeds can fly and as such if you wish to contain them you will need a covered run to keep them in an area. They can easily fly over a six-foot fence provided they have a “run-up”. 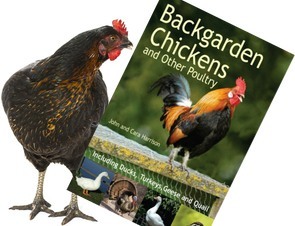 There are some domestic breeds that cannot fly and these are similar to the specific meat chickens you can get, in that they are bred to develop body weight quickly and to be kept in smaller areas. The White Turkey – these have large breasts with shorter legs. They can put weight on quickly and although they have a flighty nature are less able to escape a high fence. Originally a mutation of the black, the White seems to have been developed in Europe. It was first documented in the UK in the early 1800s. The Norfolk Black Turkey – the favoured eating bird in the UK. They have a more rounded body shape with meaty legs as well as breast. They can easily fly if kept in a back garden and as really need to have a covered run or 8 ft fencing to prevent their escape if you don’t want them to free range. The Norfolk Black is almost certainly the oldest British turkey breed. The original black turkeys were probably derived from those first brought to Europe from Central America by the Spanish Conquistadores. In East Anglia they were developed as a meat breed and were subsequently reintroduced to the United States by the early settlers. There, they formed the basis of the American Black. The Bronze Turkey – This old established breed is the closest in colouring to the indigenous wild turkey of the USA. It was originally bred in 1830, in Port Judith, Rhode Island, by crossing the Narrangansett with wild turkeys of the area. It was recognised as a standardised breed in the USA in 1874. A traditionally free-range bird that enjoys flight and exploration. They have a gamier taste and are considered to be the tastiest of the turkey breeds. There are other turkey breeds available from specialist breeders although they are more difficult to obtain. 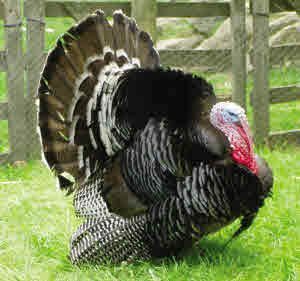 In addition to our turkey breeder listings, the Turkey Club UK provides information about breeders and breeding standards and as such is a good place to contact if you are looking for a more unusual turkey breed.